After striking out out on John Calipari (lifetime deal with Kentucky), Jamie Dixon (failed buyout), and Rick Barnes (stayed with Tennesssee), the UCLA Bruins have found their new head coach. The Bruins have announced they have hired Cincinnati head coach Mick Cronin. 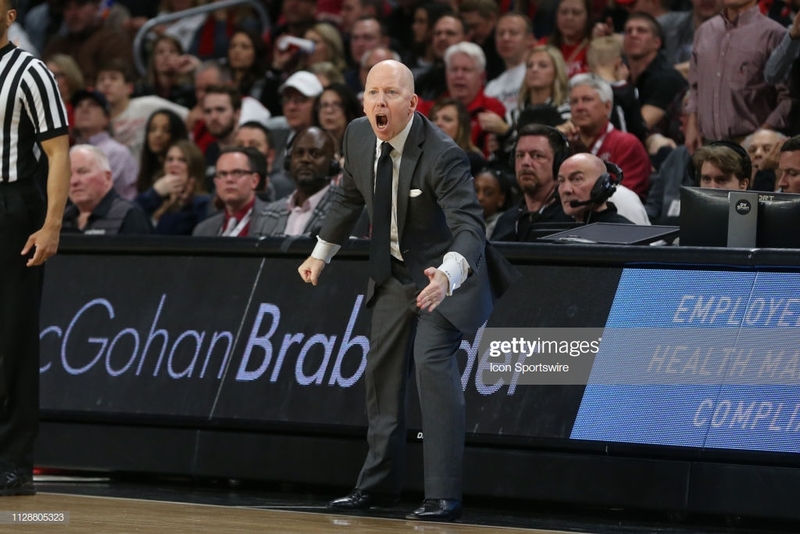 Mick Cronin is a fierce competitor, and I'm excited to welcome him to Westwood," UCLA athletic director Dan Guerrero said in a statement. "Mick has built a fantastic program at Cincinnati, backed by integrity and discipline, and he has instilled an undeniable toughness in his student-athletes. I am confident he will build this program the right way and lead UCLA basketball back to national prominence." The 47-year-old has had two gigs, his first with Murray State before moving to Cincinnati. He helped guide the Racers to two Ohio Valley Conference tournament titles in 2004 and 2006 which put them in the NCAA Tournament. He moved to Cincinnati in 2006 taking over Andy Kennedy who had a subpar season in his lone year replacing Bob Huggins. His first four seasons were a struggle, going 61-68 but since then has made the NCAA Tournament in nine straight seasons. Since Cincinnati's move to the American Athletic Conference, Cronin has led the Bearcats to two regular season and conference tournament titles.